Browsing through catalogues may spark some ideas for you. 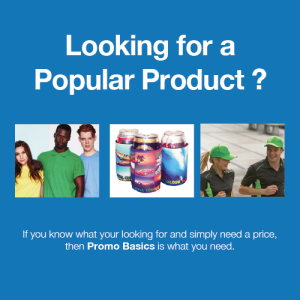 You’ll get a grasp of the thousands of products available. Please start from the menus on the left to narrow down the categories. We’ve started adding some information on each page (bags/drinkware for example) so you have a broader picture of latest trends. If you need to talk, we’re here to help. Please call 1300 855593 or email.